Strip body fat whilst eating fruits, dairy, juices and carbohydrates. Easy to digest food, simple to prepare. Based on the research of leading endocrinologist Dr. Ray Peat. Includes Pro-Metabolic food selection guide and how to replace food if necessary. Includes progress sheet to record progress. This program is ideal if have a healthy metabolism and want to lose body fat whilst eating delicious Pro-Thyroid food. If your metabolism is slow or you struggle to lose fat, we recommend our 12-week boost and shred program. Phase 1 you will improve metabolism to set the scene for phase 2, healthy fast fat loss. The ProComp Pro-Metabolic fat loss program is an easy, healthy and a balanced strategy for FAST FAT LOSS & A FAST METABOLISM. This program is ideal to strip body fat without destroying metabolism or creating hormonal havoc. This is a fat loss program that enables you to eat a variety of delicious, nourishing and healthy food. Food that gives you energy and tastes great. There is no need to deprive yourself of fruit, juice, cheese, sour dough and quality chocolate to lose fat. Fat loss favours a healthy body. The meal plans in this program are based entirely on Pro-Thyroid food. Food which will help upregulate metabolic rate, balance estrogen and progesterone and reduce cortisol. These plans are easy to digest, will reduce boating, inflammation, improve sleep and best of all, they reduce cravings. These plans are based upon natural simple sugars and when you supply your body with the sugars and food it needs so it will no longer crave that food. It is important to note that fat loss is more effective when metabolism is fast and hormones are balanced. The higher the calorie intake is when commencing, the easier your fat loss results will be. This may mean spending longer optimising metabolism to get greater fat loss results. Is the 6-week fat loss shred program for me? 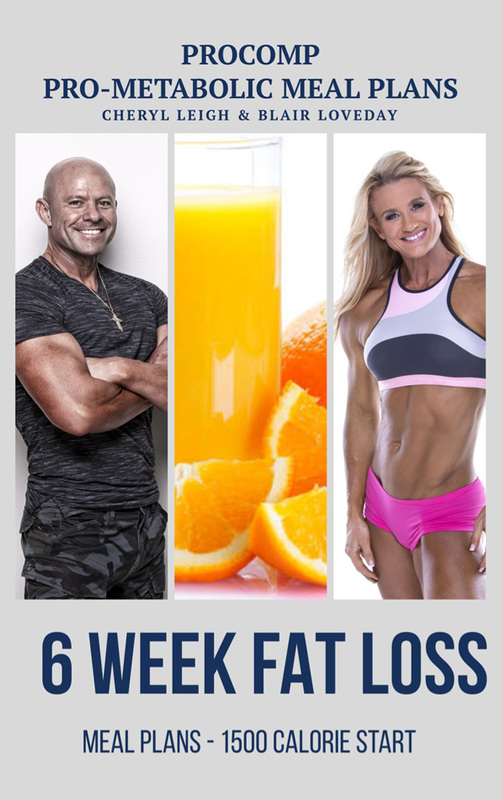 The 6-week fat loss shred is designed for those who already have a healthy metabolism. If you are eating enough food already and your bodily systems are functioning well, then you will respond well to this plan. The fat loss plan will put you in a slight calorie deficit and have you eat Pro-Metabolic food to enable you to stripbodyfat without causing the down-regulation of metabolism or causing exhaustion. Dieting with Pro-Metabolic nutrition will not compromise energy and vitality. You will enjoy a diet of a wide variety and delicious foods, there will be no cravings, health will improve, bloating and digestive issues will reduce and you will fell fantastic. I want to lose weight. I think that my metabolism is slow and I currently eat less than 1200 calories a day. Long periods of dieting, cutting food or increasing exercise when metabolism is slow and the body is already stressed is a viscous cycle many find themselves in when they are desperate to lose weight. When metabolism is slow or you are already eating a very low calorie diet, it is likely that your fat loss results have stalled or that your fat loss progress is slow. If this is the case, we do not recommend the 6-week fat loss plan. Instead we recommend our Boost and Shred program. The first 6 weeks of the boost and shred program focuses on improving metabolism by eating MORE of the RIGHT food and breaking the cycle of low calories and excessiveexercise. The focus is on healing your body and resetting your metabolic set point. Phase 1 of boost and shred primes your body for Phase 2, the fat loss phase. After doing the work to improve metabolic rate, fat loss is effortless and easy. Fat loss favours a fast metabolism. Many people actually still lose fat during the Phase 1 of boost and shred as their metabolism is increasing and their body is no longer stressed. 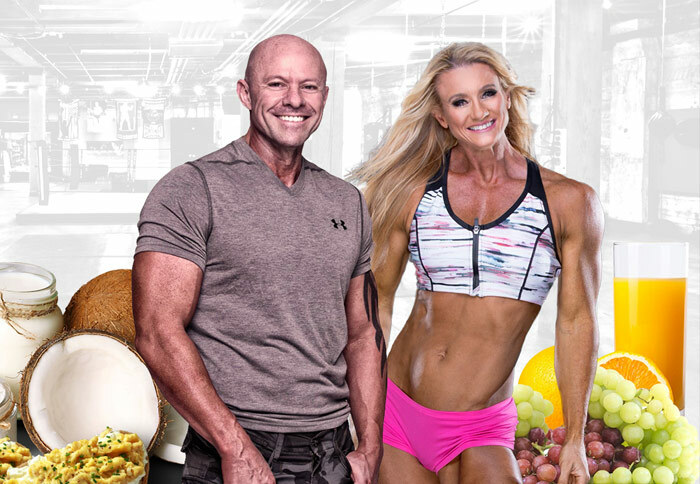 We have created these meal plans to work for EVERYONE. This is NOT a one-sizefit all program. We all have different metabolic set points. This is what sets our meal plans apart from all the generic meal plans online. Most programs assume that everyone can metabolise the exact same amount of food. We are all different. Little food and calories for a long period of time will down-regulate your metabolic rate. Starting a nutrition plan eating 3000 calories will risk putting on fat. To achieve the greatest success, commence your Pro-Metabolic plan eating a similar calorie range as current. By personalising the starting calorie point, greater success will be achieved stripping fat and ensuring a healthy metabolism. We encourage you to take a moment to work out APPROXIMATELY how many calories on average you eat a day. We recommend MyFitnessPal. It can be download as an app on a mobile device or via a computer. Use this link to quickly create an account. Input a general day of food that is currently eaten to get an approximate idea of how many calories consumed each day. Once calculated, choose the plan as close to this as possible. The higher your current metabolic set point, the more effective nutrition alone will be to get you lean. We prefer minimal to no cardio in most cases. When calories are low or your metabolism slow, you may need to do a little. The plans will outline whether cardio is recommend each week. It is recommended that cardio be gradually reduced to illustrate the meal plans work on their own. In some instances, a few 35-40 min walks may be recommended in just in the last 2-3 weeks of the program. It is important to be aware that all of our plans contain dairy in the form of cheese, milk and yoghurt. Many lactose intolerant clients find they do not experience issues with quality hard European cheese, as there is no lactase. We also would recommend replacing cow’s milk with an equivalent coconut milk option and coconut based yoghurt. Your 6-week program overview and notes about what to expect. 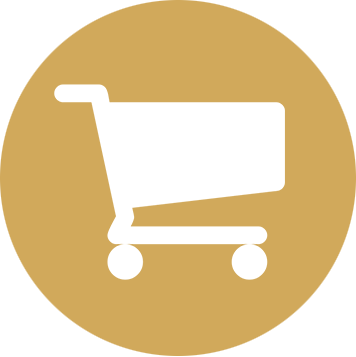 We do have a number of services that can be purchased should there be any questions, you need clarification or require one of our coaches to review progress. We do maintain, however, to create a great looking body requires weight training to chisel and shape your physique. With this in mind, we accompany this program with weight training programs. Most people will experience immediate fat loss as they transition to a Pro-Metabolic nutrition framework. As with everything, the more you learn how food impacts your health, hormones and body,the faster you will spearhead your results. If you purchase the COMPLETE UPGADE for only $29.95 at checkout you can choose any two of these books (along with any 3 training plans). Learning about Pro-Metabolic nutrition, improving your mindset will help set the scene for your ultimate success. We do not recommend any supplements apart from hydrolysed or hydrostate Gelatin. We recommend all clients purchase this as an integral component for the Pro-Metabolic nutrition plan. Your Pro-Metabolic nutrition meal plans specify gelatin with every meal with muscle meat as a large component of the nutritional framework. It is recommend you purchase your hydrosate Gelatin in advance in preparation for your plan. For Australian customers, we recommend Gelpro hydrolysed Beef Gelatin only. For those residing outside of Australia, Great Lakes hydrolysed Gelatin is our next choice.